Kylie McCormick reviews the punk-tinged new track from Australian indie heavyweights the John Butler Trio. Australia’s most successful independent musician tackles the hegemony of bureaucrats and bullies in new tune “Bully.” While the world is certainly aware of the growing disturbance in peace and harmony in almost every realm of life, many remain inactive and silent. John Butler Trio directly addresses and visually displays the range of political and environmental bullies, threading together an engaging song with a visual narrative that details in an amazing tapestry the world and its crumble. The repetition of single-minded chorus mixed with the sliding inclusion of sounds that include sirens and strong guitar undertones create this decisively driving punk rock scene. 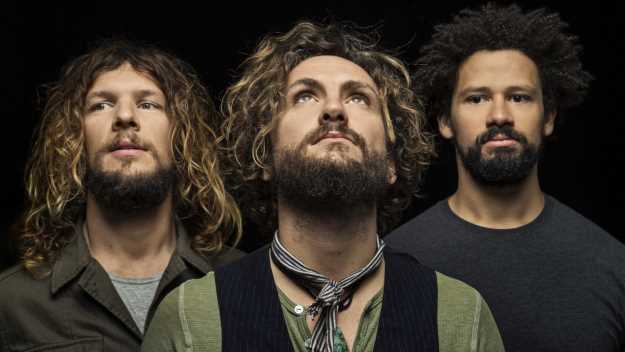 The John Butler Trio often mixes a multitude of sounds and genres into their work. Playing things from acoustic surf indie to hard rock, the band releases a song that is hardline punk rock, mixing early 2000s punk with feverish lyrics. The repetition of single-minded chorus mixed with the sliding inclusion of sounds such as sirens and strong guitar undertones creates this decisively driving punk rock scene. No doubt the sound as well as the lyrics display the shifting urgency of addressing abuses in the political and environmental field. There is no softness in sound or lyrics; rather what “Bully” is is a clear message from John Butler and his Trio. Following the single the team has also released a music video, once again driving home the concept of the song. The music video is a compilation of different images and experiences that perfectly demonstrate the bullies of the moment. Covering aboriginal marches and whale killings along with a multitude of other scenes, John Butler infiltrates social movements giving prime examples of bullying groups that coordinate nicely with the sound. You cannot turn on the news or pop around social media without reading some story of social and economic pushback. John Butler Trio pairs an emphatic sound with a stimulating video; “Bully” being a direct answer to what is happening in the world around us today. Whereas some artists are more timid, John Butler Trio directly pushes against a growing movement in society, taking aim at those who are disruptive and destructive.